A FABULOUS VALUE IN PINEWOOD/PADDOCK PARK! Stunning, remodeled, turnkey home on beautiful private 1.23 lush acres with landscape lighting. Large circular driveway welcomes you into this meticulous, warm home that opens up to the oversized patio/pool. Freshly painted inside and out. Large master bedroom with sitting room, split plan, newer roof, new high end A/C, renovated kitchen with big pass thru window, updated baths, gorgeous fireplace, custom closets throughout, new lighting and appliances, Patio with large covered area that runs the length of patio-great for entertaining with 2 flat screen TV's included. Nicely finished garage, city water and all new electric. 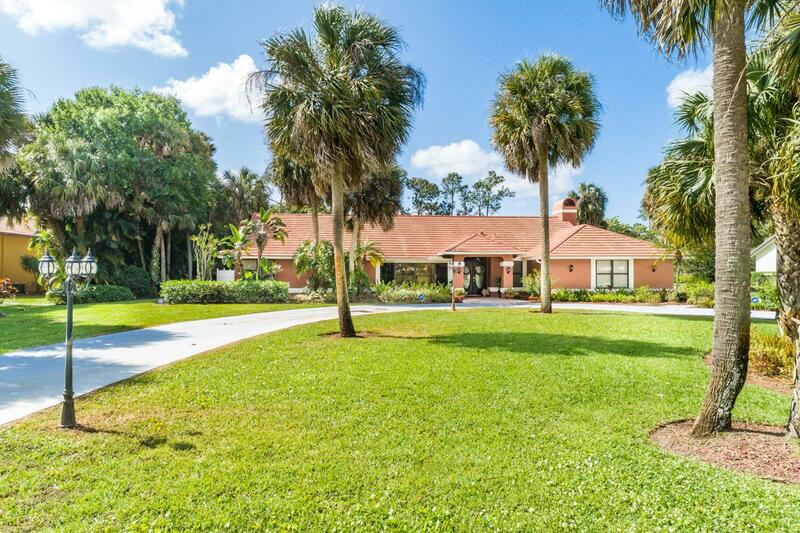 THIS IS ONE OF THE PREMIER NEIGHBORHOODS IN WELLINGTON, well priced at 699K NO HOA, ''A'' rated schools.minutes from all Equestrian Venues, shopping and hospitals. All sizes and information provided by owner and Tax rolls deemed reliable but not guaranteed.